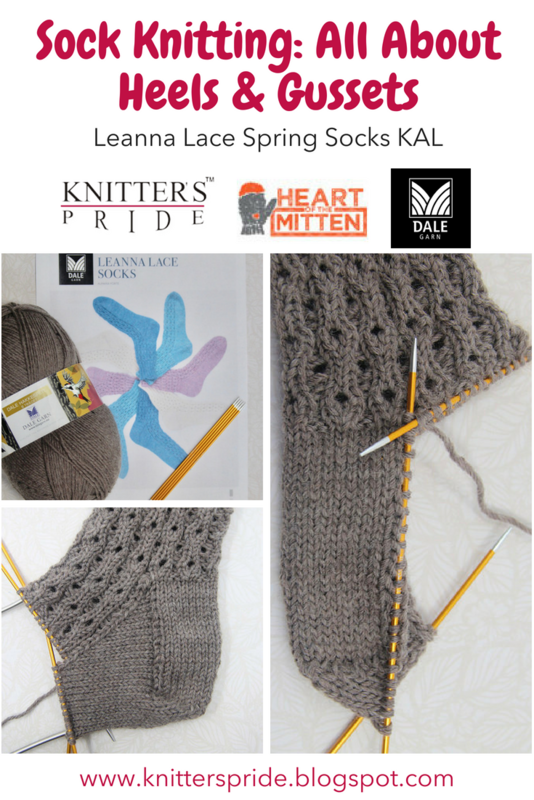 This month, we’re delighted to host the Leanna Lace Spring Socks KAL with our friends at Heart of the Mitten. It’s not too late to join this KAL! Click here for all the details, including the pattern link, coupons to purchase yarn, and details about how to participate and win prizes. 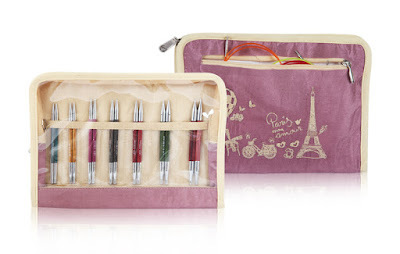 Also, congratulations to Brenda79, our winner for the Zing DPN set giveaway. We will get in touch with you shortly to arrange for the delivery of your prize! In our previous blog post, we discussed our favorite stretchy cast-ons and how to get started on your socks: today we’re going to talk about the next milestone for your sock: the heel! 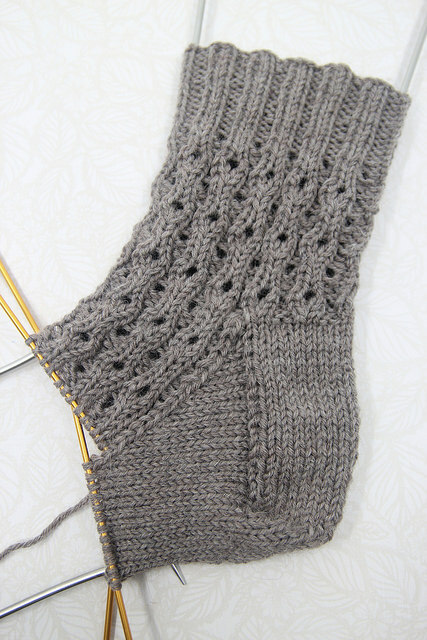 If this is your first sock project (or if you need a refresher), we will start with a quick tutorial on how to knit the heel flap and gusset called for in the Leanna Lace sock pattern. Later on in this post, we’ll talk about a few of the other heels that you can substitute into this pattern (or any socks you knit in the future) if you are feeling adventurous. Try them all and see which fits you best! Now let’s knit the heel! Step 1: Knitting the heel flap. 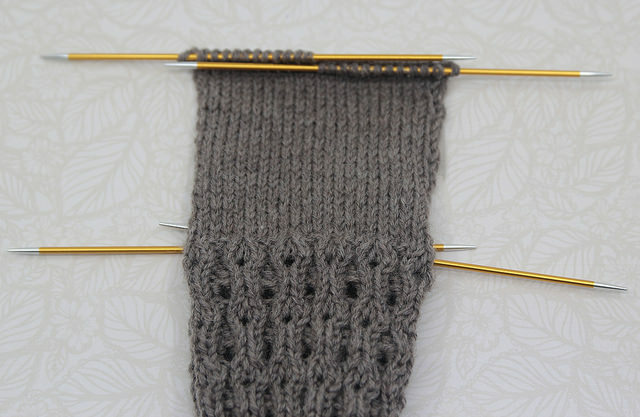 The heel flap is worked flat on half of your total number stitches, while the other half of your sock stitches remain on the other double pointed needles. In other words, you will knit back and forth to create a rectangular flap of material for the heel flap. As a general rule, when you work a standard heel flap, you will work as many rows as you have stitches: so for a 60-stitch sock, you will work 30 stitches for the heel, and 30 rows for the heel flap. 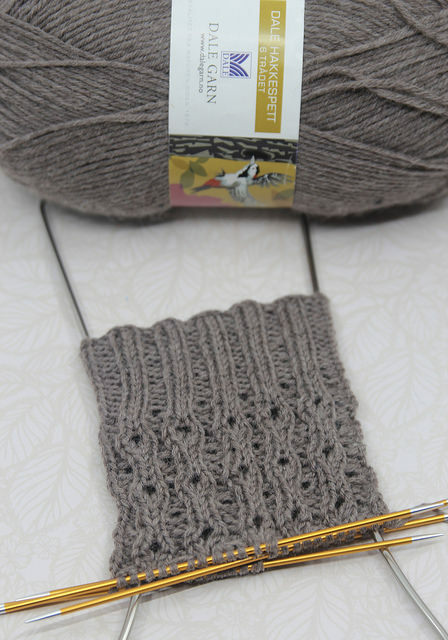 PRO TIP: Though the pattern doesn’t indicate doing so, try slipping the first stitch of every row to create stitches at each side edge that stand out a bit from your knitting, making it easy to pick up stitches later on because you will have the correct number of slipped stitches to be picked up every time! For instance, if you have 30 stitches, and 30 rows, slipping the first stitch of every row will give you 15 slipped loops at each side for pickup. Below is the resulting heel flap, and how those slipped stitches look. Step 2: Turning the heel. You’ve now turned your heel! Step 3: Picking up stitches for the gusset. The next step is to join the heel flap and turned heel back with your held stitches. To do so, you will be picking up and knitting stitches along each side of the heel flap. Don’t worry, we will walk you through this process step by step! First, a quick vocabulary lesson: the gusset is just an expanded area of fabric that will give you extra ease over the widest part of your foot - diagonally around your ankle, down to your heel. We create the gusset by picking up stitches along the sides of the heel flap, and then decreasing slowly over the ensuing rows until we get back to our stitch count. As we do this, we will keep knitting the pattern stitches over the top of the foot (called the instep) and switch to plain stockinette for the bottom part of the foot (the foot and the gusset stitches). Once you have completed your heel turn in the previous step, you should find yourself one at one corner of the heel flap. From there, carefully pick up and knit stitches in each one of the loops on the side of the heel flap (in our example, 15 stitches). You should now be back at the start of the top of the foot. 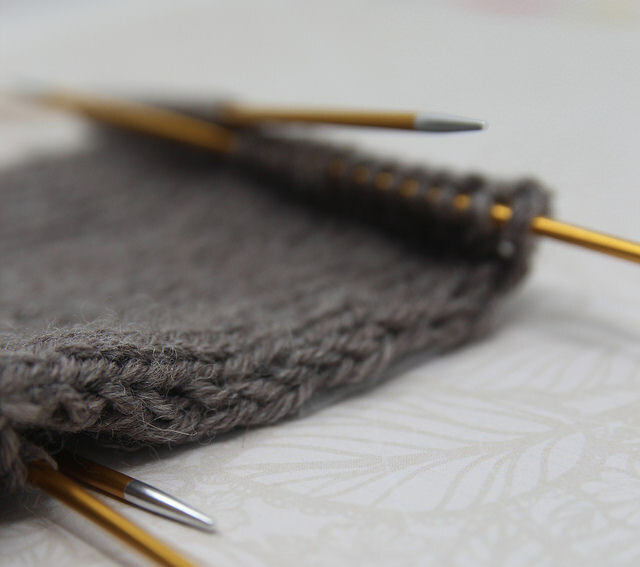 If you choose to, you can resume knitting in pattern (remember where you left off!) over the top of the foot, across to the other side. After you have knit across the top of the foot, you will again pick up and knit the loops on the other side of the heel flap. For this round only, you will finish by knitting half of the stitches that were left on your heel turn. Now the beginning of your round is in the middle of your heel. PRO TIP: If you are concerned that there might be a hole in between where you picked up your last gusset stitch and the top of the foot, you can always pick up an additional stitch in there to close that hole. 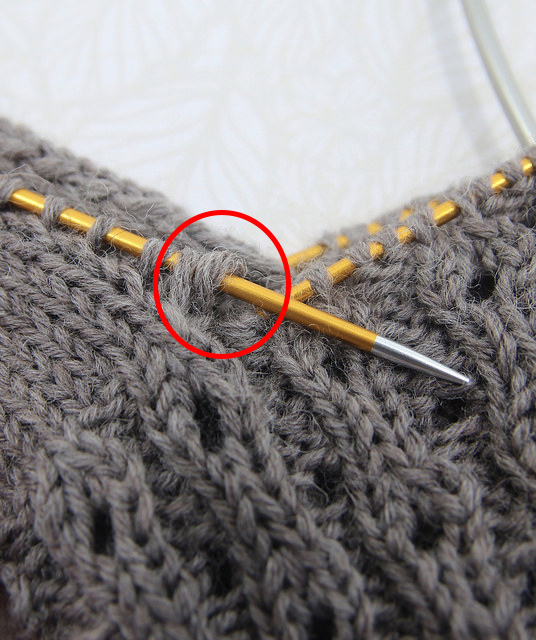 If you do this, remember that you’ll need to do one extra round of decreases at the end to get the stitch count back down to where you started. Step 4: Decreasing the gusset. 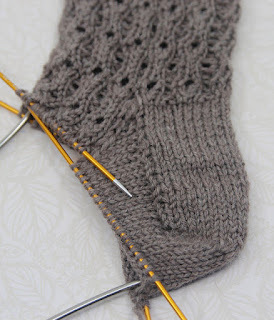 The final steps to finish your heel are to slowly decrease those gusset stitches over the next several rounds. You will continue to work as directed (in pattern on the top of the foot, in stockinette stitch on the bottom of the foot) and every other round you will ssk and k2tog to decrease 1 stitch at each side of the foot until you get back to your original stitch count (in our example, 15 stitches on each needle). 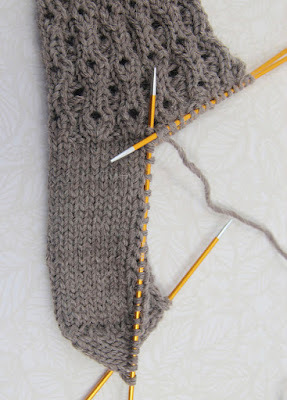 This will create a diagonal line down the side of your sock where your gusset stitches decrease. Once you are back to your original stitch count, you have finished your heel! Now you’ll keep working in the round in the established pattern until you reach the toe, which we will discuss in our next blog post. Now that you know how to knit a heel flap and gusset, you may want to explore the wide world of heel constructions - there are some innovative options out there! We have included links to a few different types of heels here (some free and some paid patterns) that you can use with socks you knit. We encourage you to try different types of heels to figure out what fits your foot best. This pattern packs a lot of punch into a $1.00 download! The Fish Lips Kiss Heel by Sox Therapist is a short row heel that can be added to any sock. The benefit of this heel is that it can be done with no advance planning, and contains no wraps. You’ll simply create two wedges through the use of short rows (knitting only a portion of each row) that will form your rounded heel. Short row heels like the Fish Lips Kiss Heel (FLKH, for short) are great if you’re knitting with self striping yarn and don’t want to distort the stripes by increasing for a gusset. 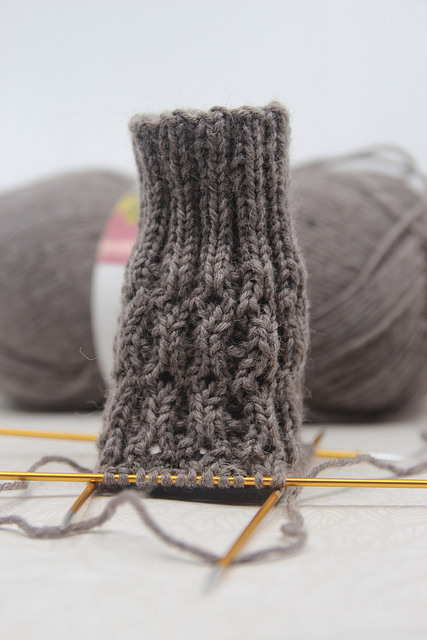 This heel is also easy to memorize and knit over and over again. The remainder of the pattern contains information on how to make a cardboard sock form for anyone you want to knit socks for so you always have their sizes with you. Megan’s pattern includes her own OMG heel: One-needle Mock Gusset for toe-up or One-needle Mini Gusset for cuff-down. The benefit of this heel is that it does not disrupt any striping on the top of the foot because the gusset increases/decreases and turning of the heel all occurs on the bottom of the foot. The OMG heel mocks a gusset heel, but does so through the use of short rows. This might be a fit for you if you’re looking for a snugger fit to a short row heel. Susan B. Anderson is the master of the afterthought heel. An afterthought heel is just that, an afterthought. 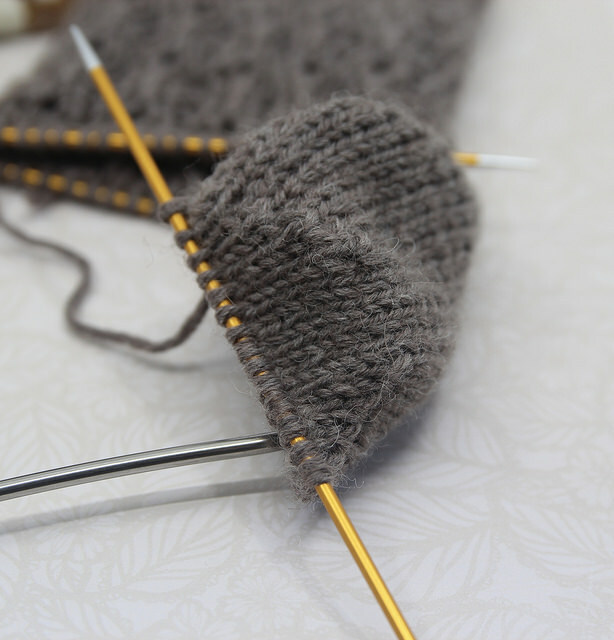 An afterthought heel is created by cutting a stitch where you want to place your heel, unraveling a row, and then picking up and knitting a short row heel into your sock. This allows you to start at the cuff and knit a tube down to the toe (or start at the toe and knit a tube to the cuff), and place your heel later on. If the thought of cutting your knitting gives you heart palpitations, you can cheat a little and place some waste yarn in where you want your heel to be. The Smooth Operator Socks pattern details how to knit your cuff (or toe and foot) and then place your waste yarn that you can remove later to knit your heel. Susan also includes expert tips on how to pick up stitches and avoid holes at the corners of your heel, as well as how to add extra rows to your short row heel to give it a bit more depth. This free pattern includes instructions on how to knit a double gusset heel which results in a heel that hugs your foot and includes arch shaping. Cristi includes instructions on how to insert this heel into any sock you want to make as well as a link to a visual tutorial on her blog. If you’re still interested in the many, many, many different kinds of heels you can add to your socks, you may wish to read this Knitty article by Kate Atherley about how to step up your sock game, including a variety of heels! We've teamed up with Heart of the Mitten to bring you an exclusive sock knit-along (KAL) to welcome the return of warmer weather! We're featuring a great new pattern that is sized for the whole family; learn how you can enjoy special discounts and participate for a chance to win some fabulous prizes! 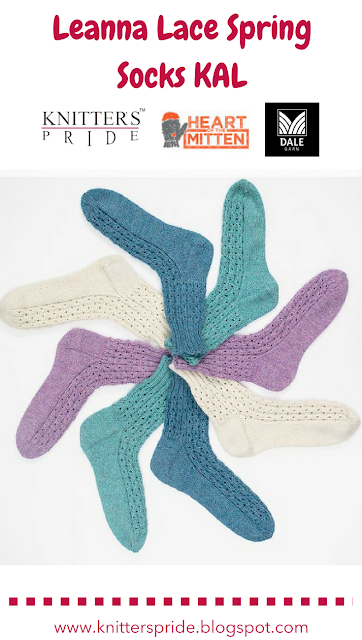 What: Knit any size of the Leanna Lace Socks pattern; you can use either the called-for yarn (Alpakka Forte) or opt to substitute in a sock yarn of your choosing. Grab your copy of the Leanne Lace socks here on Ravelry or here on the Heart of the Mitten website; if you wish to knit with Alpakka Forte, enter KAL15 at checkout to get 15% off your order after putting both the yarn and pattern in your cart (discount is good through Midnight CST 5/31/18). When: KAL begins on Tuesday, May 15 and runs through Saturday, June 30. We will announce prize winners on Monday, July 2 in the Ravelry group. Where: Join the fun by sharing your photos in the Knitter's Pride Ravelry Group and on Instagram using the hashtag: #KPHOMsocks - photos need to be posted by Midnight on June 30 in your time zone to be eligible for prize drawings. Grand prize drawing: One lucky winner will receive 3 balls of Dalegarn Hakkespett in the colors of their choosing, a Greenery Fixed Circular Needle Case, a Lilac Needle & Crochet Gauge with Yarn Cutter, and a package Wool Needles! 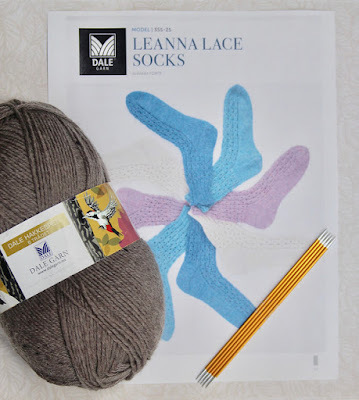 Participation prize: Share your Leanna Lace sock project using any yarn and Knitter's Pride needles for your chance to win a Royale Special Interchangeable Set! Kick-Off Prize: One lucky blog reader will win a Zing DPN set - find details on how to enter at the end of this blog post! 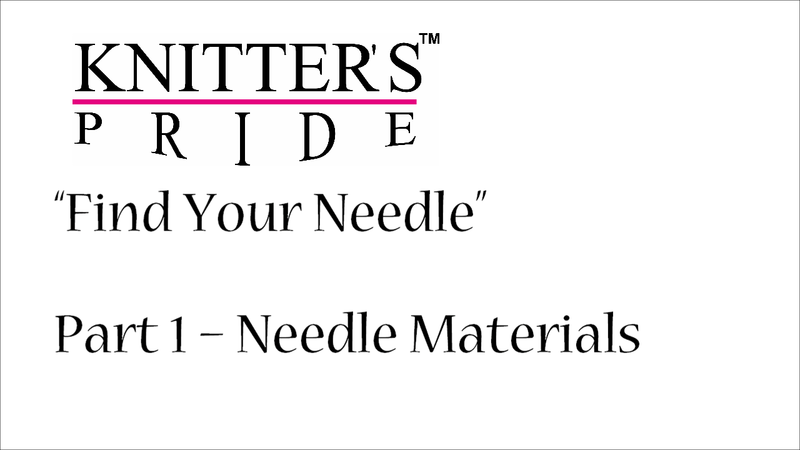 Once you have your yarn, pattern and needles, it's time to cast on! We've rounded up 3 of our favorite video tutorials for stretchy cast-ons below to help you get started. And if you're worried about Second Sock Syndrome? 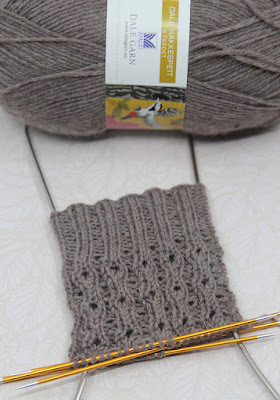 Consider knitting your socks two at a time - click here for our free tutorial! German Twisted/Old Norwegian Cast On: This is a very popular cast on for socks, and for good reason - it's super stretchy, making it perfect for socks! 2x2 Tubular Cast On: This cast on can be used for any 2x2 ribbed cuff; it's a little more complex than the other options listed here, but it produces a beautifully stretchy edge. Knit/Purl Cast On: Nearly invisible, this is a great choice for top-down socks. Best of all, it works for ANY rib combination! One lucky blog reader will receive a Zing DPN Needle Set - just leave a comment on this blog post telling us the name of your favorite stretchy cast on, along with your Ravelry ID or email address so that we can contact you if you win. We will randomly select a winning comment to announce on our next blog post on Friday, May 25. Good luck!